Shoe Zone themes has been purchased 16, rating: 4/5 based on 4 reviews. Shoe Zone is a theme designed by Buddhathemes. This theme is perfect for any type of store such as fashion, footwear, jewelry, cosmetics, furniture, watches, accessories, etc. Shoe Zone consists of two different home page styles and eight header and footer types. This allows you to have more options in building an online store. 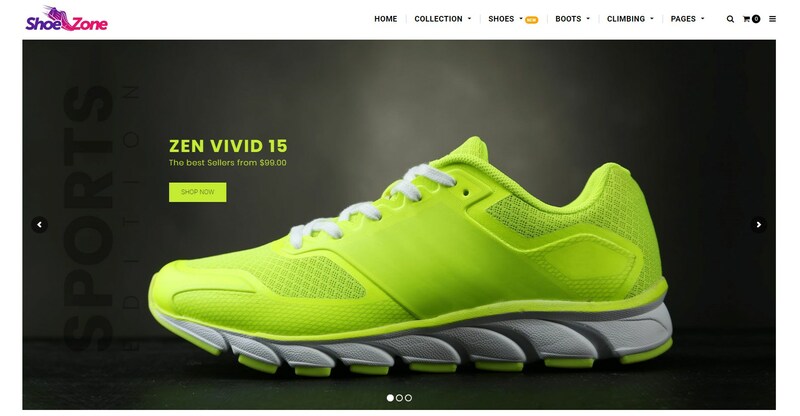 In addition, Shoe Zone Shopify theme has flexible control panel and great features bring satisfaction to your customers when shopping on the website. Eye-catching banners and harmonious colors will appeal to customers at first sight. Don’t hesitate, choose Shoe Zone Shopify theme to experience.